Did you get a chance to visit At Home with Ali yesterday? Her LITTLE office tower was so, so cute! I love how many preschool skills her girls were working on while creating the office tower. If you haven’t seen it, go there first…. I’ll wait. M and M have been making hideouts and fortresses and whatever they can call the little space that holds their goodies. The most recent Little M space is her office. She spends quite a bit of time organizing it, adding to it and sitting at it. When I suggested we add a few fun details, she was very excited. I rounded up some office type supplies. ~old cell phone… are there still corded phones in offices? Our homemade computer turned out so cool… and I can take no credit. I started to make one by covering a piece of cardboard with black construction paper. Since the “big kids” need to be picked up from school I left my niece T and Little M home with Hubs. Two little laptops were created while I was gone. They did a much better job then I would have done! I’m not sure how long Little M will leave my additions before reorganizing her space, but for now she’s enjoying it. 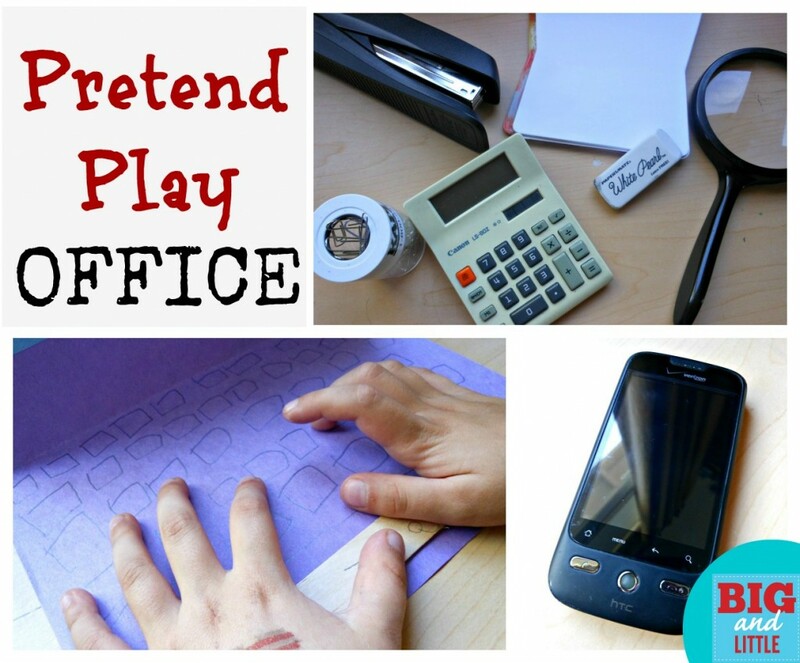 What office supplies will you add for you office space? 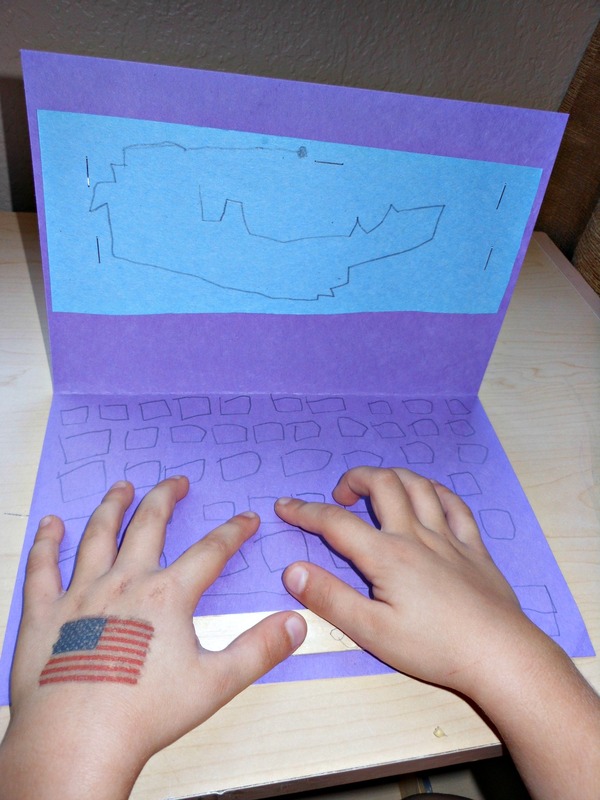 Love the handmade computer! Thanks for the tip about the cell phone. 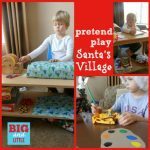 Pinning this fun pretend play idea. That’s such a good idea! My little ones have a fascination with copying me. especially with electronic devices so I think I’ll be making some “computers for them.